For now, I'm working in the same planner as last year. It's an 18-month academic planner and will take me through the end of 2017. I love this planner by Orange Circle Studio for 2017-2018. I love the space the large format provides me. I am planning two weeks at a time. 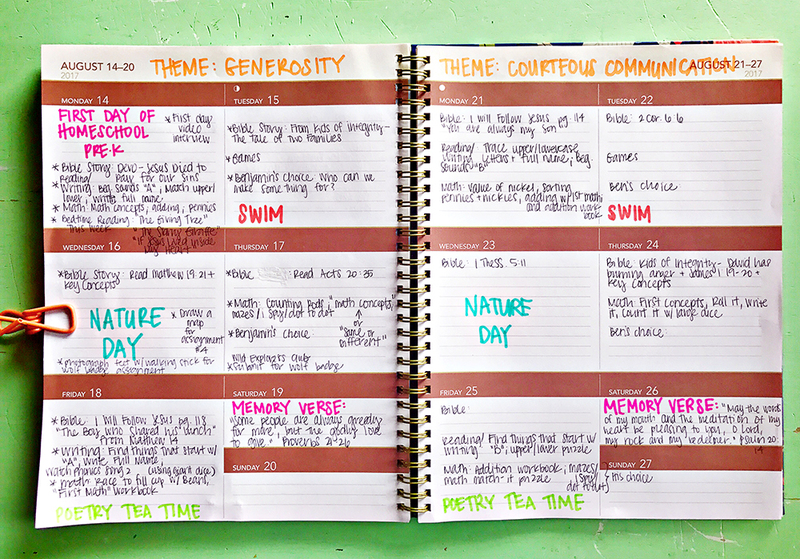 This is just a rough idea of what I'd like us to work on each day. Right now our school day is only around 1.5 hours long. I write down ideas for each subject. Sometimes Benjamin will go in the order I've got planned and other days he tells me which subject he wants to study. Of course, he doesn't call it "studying". He refers to learning as "activities" or playing, and will say something like, "I want to play math." Our overall focus this year is on Character Building. Recognize all letters and know the sound they make. Learn to tie his own shoes. Name coins and know their value. As I mentioned before, this year our "weekly themes" are character traits. I am getting a lot of our lessons from a free parenting resource called Kids of Integrity. Most of the lessons are geared toward older children but I'm able to reference some of the Bible stories in his children's bibles. 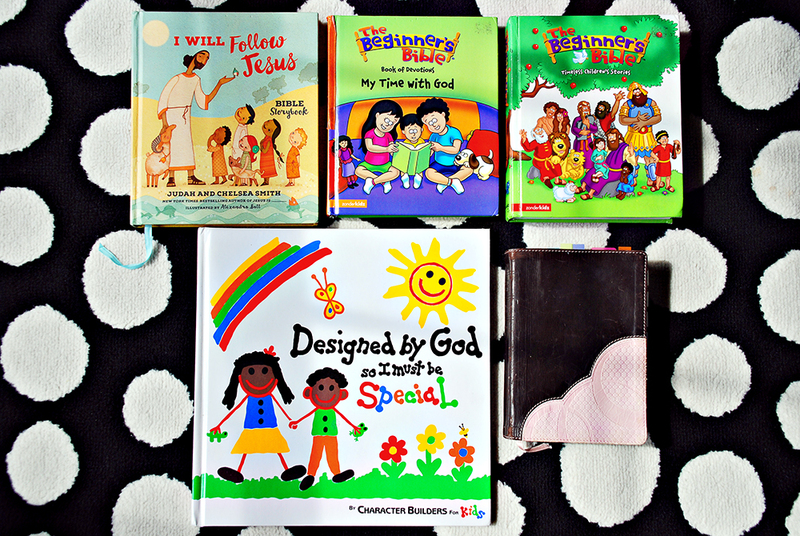 We're using I Will Follow Jesus Bible Storybook and The Beginner's Bible: Timeless Children's Stories. I select a devotional from The Beginner's Bible Book of Devotions – My Time with God. I choose a related weekly memory verse and verses to read from my NLT version Bible. Last by not least, I plan to read him "Designed by God So I Must Be Special" and other character building books throughout the year. Currently, Math is Benjamin's favorite subject. He can count to 100, recognize and write through 10. His writing is still shaky, so that's one of the things we're working out with the Usborne: Wipe-Clean First Numbers workbook. 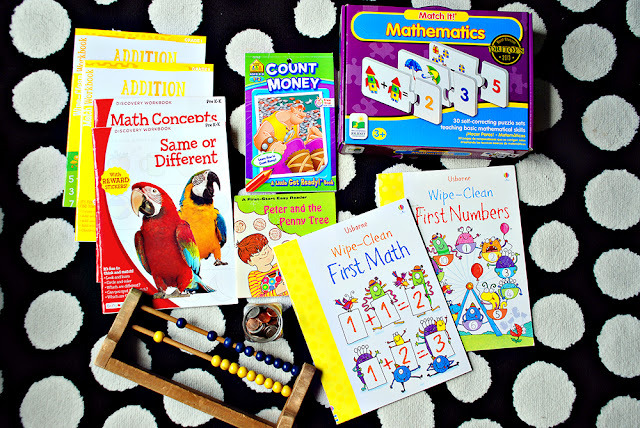 The First Math workbook deals with basic addition and subtraction. The dollar section of Target has killed it the last two years with their back to school supplies. We love the Discovery Workbooks. My mom purchased two of these last year, including "Same or Different" and "Math Concepts", which are geared toward Pre K and Kindergarten. This year I purchased the Addition Math Workbook and Wipe-Clean Workbook (1st grade). I'm so excited for Benjamin to use the abacus that was made for me when I was 6 years old! Benjamin enjoys the Match It! puzzles and we have several. This one is The Learning Journey Match It! Mathematics, which includes 30 cards for counting, addition, and subtraction. Not pictured: Wooden Number Cards and Counting Rods, counting bears, and marbles. We're also starting to study money in regards to recognition and value. We'll be playing with Benjamin's Learning Resources Pretend & Play Calculator Cash Register a lot, I'm sure! Benjamin doesn't quite recognize his letters yet, so we'll be working on that more extensively this year. He's using these HAPE lowercase and uppercase wooden puzzles for practicing and matching. He also has The Learning Journey Match It! ABC's and The Learning Journey Match It! Upper & Lower Case Letters. The Usborne Wipe-Clean Pen Control workbook is fabulous for early writing. We'll definitely spend more time in this book this year to improve Benjamin's dexterity. We're also using a primer/tablet. Right now I have several pages of his full name written in highlighter, for him to trace. One of our goals is for him to be able to neatly write his full name this year. 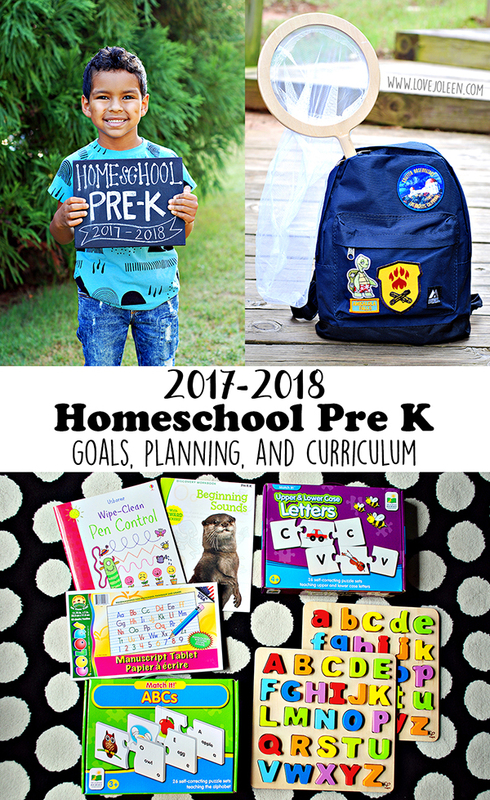 We're also working on beginning phonics with this "Beginner Sounds" workbook and fun YouTube videos like Phonics Song 2. We really value games and all the benefits they offer. 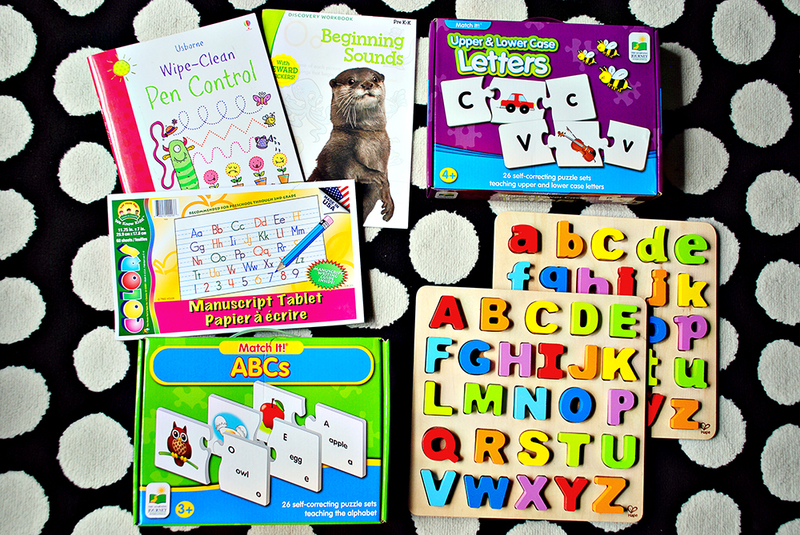 If you missed it in March, I shared 5 must-have board games for preschoolers. We're adopted a "game day" as part of our homeschool schedule. This is time that just he and I will engage in the game(s) of Benjamin's choice. I'm also hoping to make game night more of a regular occurrence as an entire family. In addition to board and card games he'll play with me, we have a stack of brain games he can do relatively independently. These include I Spy books, mazes (love dry erase options like Twisty Mazes for Little Hands! 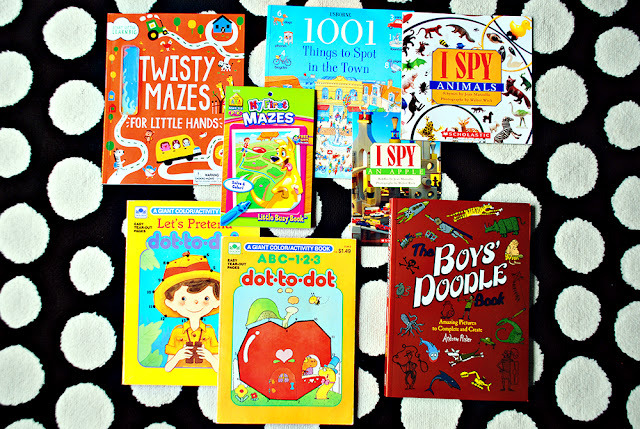 ), dot-to-dot, and activity books like The Boys' Doodle Book (which he just received from a good friend of my husband). He's had this wooden clock puzzle for a couple of years now. It was awesome for teaching him his numbers. I can't find the exact one but here is a similar wooden clock puzzle by Hape. 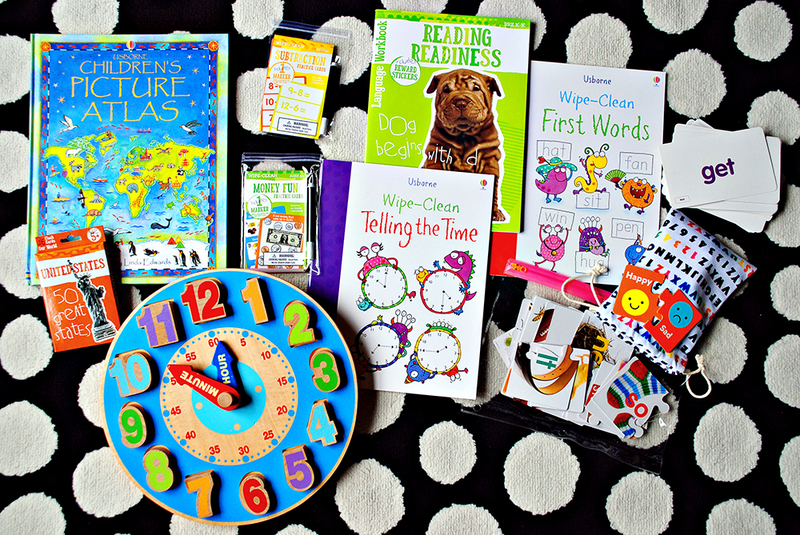 In the Usborne Wipe-Clean bundle I purchased last year, I received this "Telling the Time" workbook, which I'll introduce to Benjamin later this year. I've also got "First Words", which includes sight words. Reading Readiness was another workbook I scored at Target this year, along with the subtraction and money fun wipe-clean flash cards, and 50 great states flashcards. Benjamin loves pointing out flags and hearing about what they represent. I thought we could delve more into that this year and pour over this beautiful Children's Picture Atlas I purchased from Usborne last year. Finally, I have several sight word flash cards and puzzles as well as an "opposites" puzzle, which I also purchased last year from Target and have been holding onto. I am constantly (and I mean, constantly!) 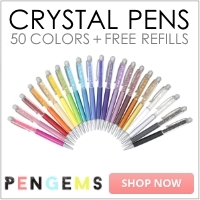 adding to our homeschool wishlist on Amazon. Swim – Benjamin has thoroughly enjoyed his swim lessons over the last few months. Our plan is for him to continue with lessons for the foreseeable future. This is something he does in the evening. 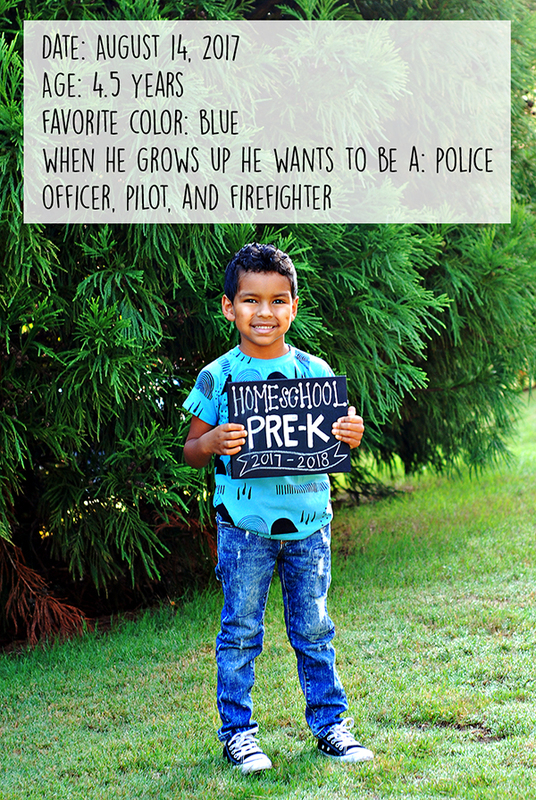 When he turns 5, he'll have so many more opportunities in the way of physical extra-curricular activities. Our gym offers rock climbing, basketball, and more for kiddos starting 5. I've also looked into him possibly taking a hip hop class. Music – Our plan is to give Benjamin a Ukulele and guitar lessons for his fifth birthday. He was very interested last year and so my grandparents gave him a play Ukulele to see how he treated it. It's still alive and well, so we're looking to proceed to lessons. This is the Ukulele that was recommended. Nature Study – We will continue attending Preschool Adventures at our local nature center this year. I found another one at a different center that takes place monthly on a Saturday, that he and my husband can participate in. We're also on a waiting list for a more in-depth drop-off class but they're currently full for the semester. 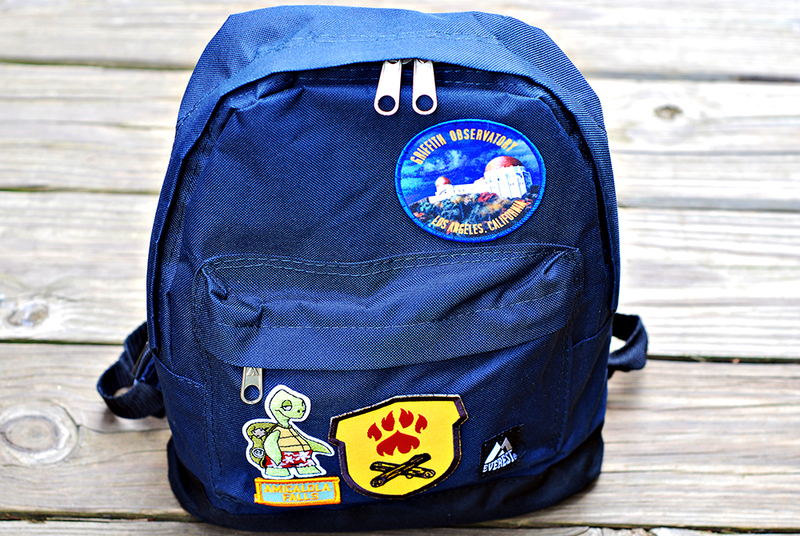 Last Christmas, signed Benjamin up for the Wild Explorers Club and gave him a nature backpack filled with supplies. We put that on hold but are making it a part of our curriculum this year. He's soon to earn his first badge. 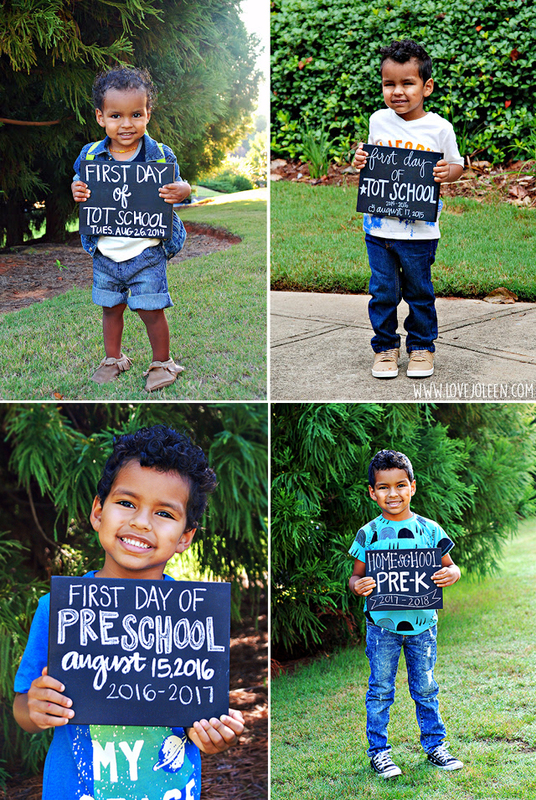 At this age, we're doing everything together, but if he loves it, maybe he'll be able to do it again on his own. I am really considering trying to put together a group to do this together. 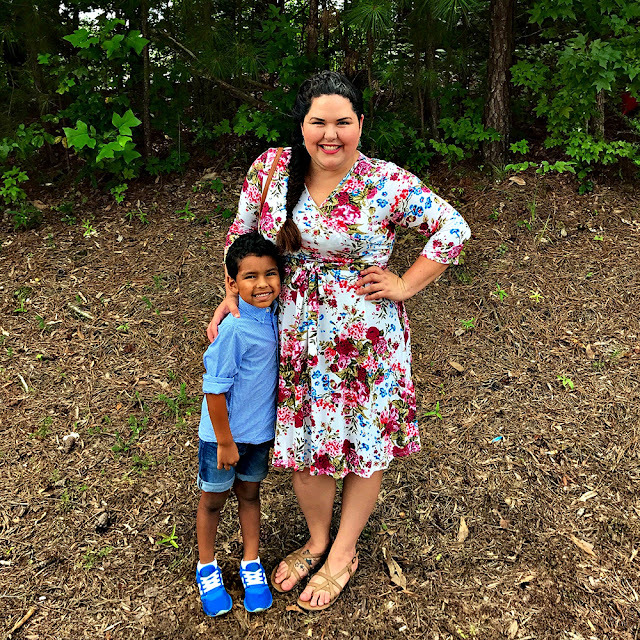 Update: New blog post - Nature Day Ideas and Wild Explorers Club. Phew! If you made it through all of this information then bravo and thank you! I hope you found it useful/helpful. If you have any questions at all, please don't hesitate to let me know in the comments or shoot me a message using the Contact Me box in the top left sidebar. If you've got a little one, you might like to read more about our Tot School adventures or learn how to make the ultimate busy bag binder. And I will leave you with this... so you can cry along with me. Oh, time!